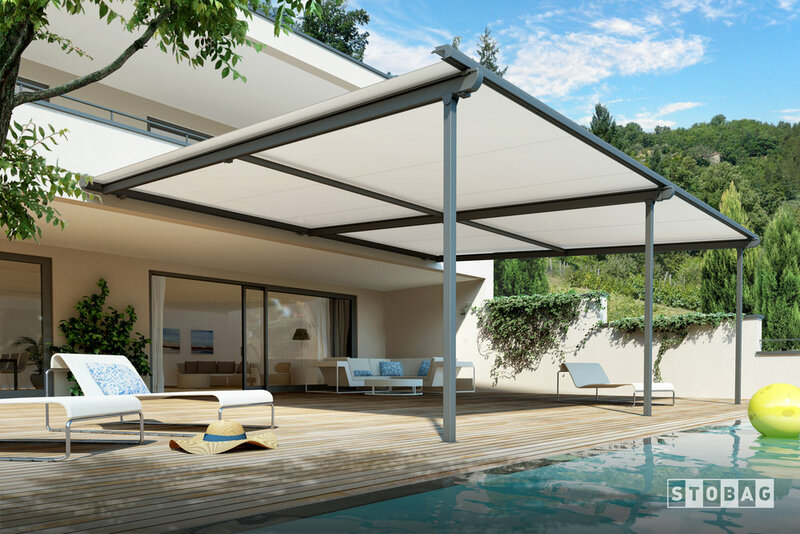 THANKS TO THE EXTENDED DIMENSIONS OF THE TRIED AND TESTED PERGOLINO AWNING, YOU CAN NOW PROVIDE DECENT SHADE OVER LARGE AREAS. Whether for a private party or a restaurant lounge, you and your guests are perfectly protected from the sun and rain. Side and front shading options can also be integrated for added protection. A support profile underneath the guide rails provides the system with a high degree of stability. The PERGOLINO is thus able to withstand even high winds and weather. The robust system is assembled easily and quickly. Integrated gas-filled cylinders ensure the cover remains taut in any position. The powerful electric drive system ensures effortless use. 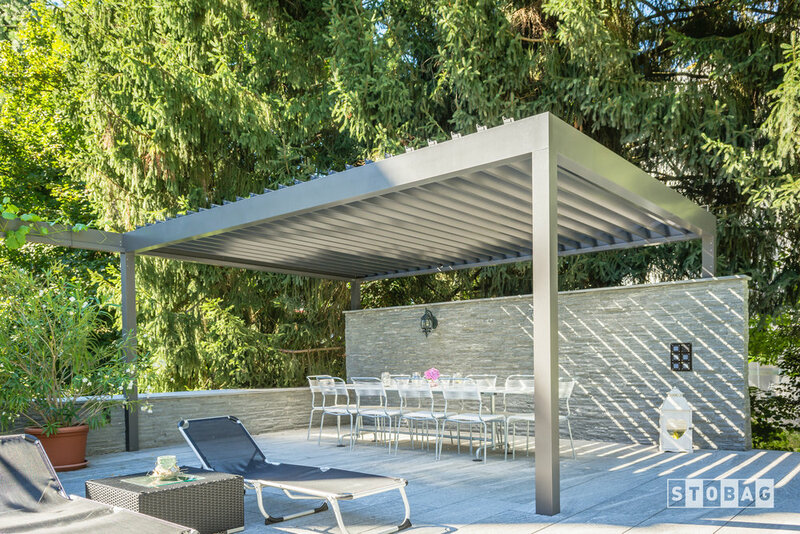 IS DESIGNED TO MOUNT ON TOP OF YOUR PERGOLA, INSTANTLY TURNING YOUR STRUCTURE INTO A USABLE OUTDOOR SPACE, OFFERING PROTECTION FROM HARMFUL UV RAYS AND RAIN. The lightweight and durable frame as well as all of the cast parts are made of high quality powder coated aluminium. When the awning is rolled up, the front bar fits perfectly into a cassette cover, protecting the fabric against the weather. The lateral, patented gas filled struts ensure constant and perfect tensioning of the cover. A choice of installation options allows flexibility even on a complicated substructure. An electronically controlled motor with automatic end stop drives the awning. Remote controls as well as sun, wind and rain sensors are also available. Different types of fixing brackets allow easy and flexible installation on existing substructures. Additional projection is also available with the patented telescopic extension strut.